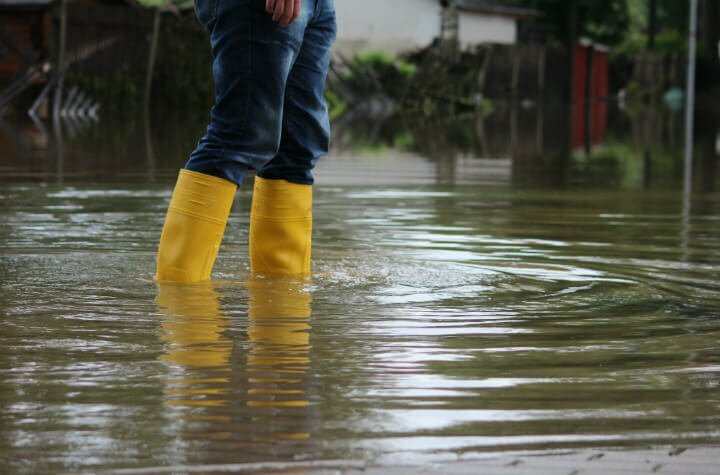 With spring on the doorstep, it’s a good idea for homeowners to start thinking of ways to prevent seasonal flooding. If your area still has a big snow pack and temperatures warm up quickly, this spring thaw can melt the snow and produce large amounts of runoff in a short period of time. That’s because the ground is often still frozen and it prevents melting snow or rainfall from being absorbed. And don’t forget those April showers. Spring rains during this month can bring several inches of rain in just hours. Sometimes these weather systems can stall over the area for days and lead to flooding in areas where the ground is oversaturated causing storm drains to overfill and rivers to spill over their banks. Flash floods can also happen in low-lying areas in less than six hours of intense rainfall or thunderstorms. Canadian statistics suggest approximately 20 per cent of Canadian households – or 1.8 million households – are exposed to a flood risk. If you aren’t familiar with the details of your home or tenant insurance, take a few minutes to review your policy so you know exactly what kind of coverage you have. Or, call your broker because there’s typically a 30-day waiting period before the coverage takes effect. In the meantime, however, you’ll want to be sure to follow these tips to help prevent flooding on your property and in your basement. Many of them are free and require just a little bit of effort. Be sure to remove debris from your nearest storm drain, clean out the eaves troughs and maintain your downspouts. Downspouts and sump pump discharge pipes should be at least two metres from your home’s foundation. Test your sump pump and clean out your backwater valve if you have one. Keep in mind, if your basement floods as a result of a broken sump pump, your homeowner’s insurance may not cover the damage. Visually inspect your home’s foundation, basement walls and floors for cracks and have them repaired. Make sure you remove any obstructions to your basement drain. Make sure your landscaping or flowerbed isn’t sending water toward your home. Correct grading if necessary to ensure it directs water two metres from your home. Remember, if water is pooling, it will find a way in! Consider installing window well covers, extending your downspouts and sump pump discharge pipes if that has not been done. Ensure valuables are stored off the floor in water-tight containers or move them out of the basement entirely. Think about installing and maintaining flood alarms. Install window wells that sit 10-15 centimetres about ground and upgrade to water resistant windows. Consult your insurance broker who can help assist you in navigating specific insurance options such as sewer back-up, overland or surface water and other options. If you are a pro-active homeowner, it will go a long way toward helping to protect against flood damage at any time of the year, especially spring!